LS-DYNA is one of the best explicit Finite Element application software made by Livermore Software Technology Corporation (LSTC)which is used by engineers to predict the consequences of impact, crash, and other dynamic loads on structures. Vibrations, fluid flow, fluid structure interaction and many other engineering problems can be solved using LS-DYNA. 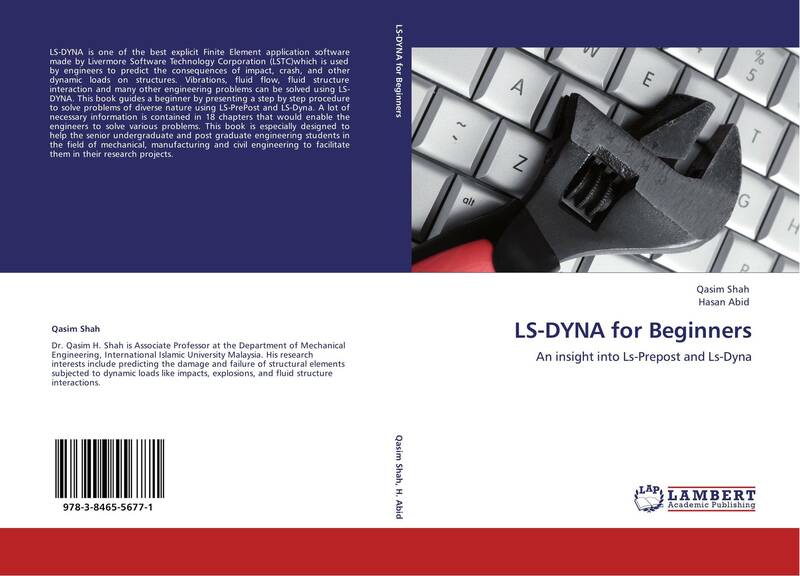 This book guides a beginner by presenting a step by step procedure to solve problems of diverse nature using LS-PrePost and LS-Dyna. A lot of necessary information is contained in 18 chapters that would enable the engineers to solve various problems. This book is especially designed to help the senior undergraduate and post graduate engineering students in the field of mechanical, manufacturing and civil engineering to facilitate them in their research projects.